The Reds are going to tackle Bayern Munich in February as both clubs hope to progress to the next round of this season’s Champions League competition. After progressing out of their group, thanks to a hard-fought 1-0 victory over Napoli, the Reds were paired with the Bavarians in the round-16 stage. 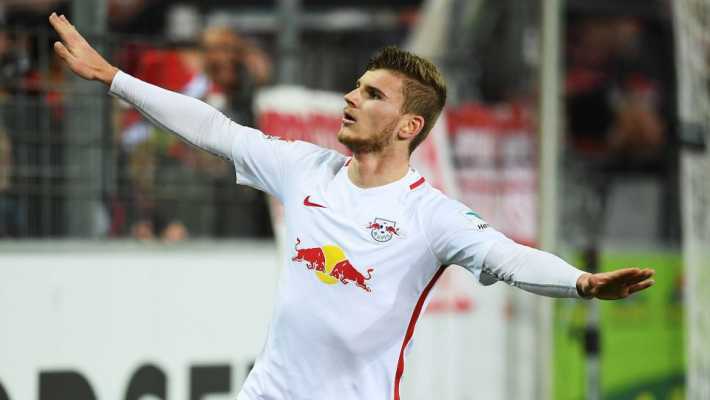 Before the much-anticipated clash, both teams are reportedly set to battle for young striker Timo Werner who currently plays for RB Leipzig in Germany. The 22-year-old has been in fine form for the Bundesliga side and his eye-catching displays haven’t gone unnoticed by top European clubs. Bayern Munich manager Niko Kovač is very much keen to add more young players into his team and he believes Werner is surely going bring more firepower to his attack. The Croatian manager didn’t start this season on a very bright note as his men currently occupy the second position, six points behind Borussia Dortmund who are at the summit of the League table. Despite their blistering start to the season, the Reds need to add one or two players to their squad in the upcoming winter market. Jurgen Klopp got some attack-minded players during the summer window but only a few have settled into the team. Fabinho and Naby Keita have failed to live up to fans expectations so far this season and reports are claiming that one of the players could be released by Klopp so as to create space for Timo Werner. If there is one thing the RB Leipzig striker knows how to do, that must be scoring goals. The player has 44 goals from just 78 games. His goalscoring abilities are desperately needed by the Reds so as to reduce Salah’s goalscoring burden. Liverpool rely so much on the Egyptian forward for goals and that is mounting much pressure on the former Roma striker. Liverpool will have another proven goalscorer in Werner should the Merseyside club beat Bayern to his service before the close of the winter transfer market. Werner’s versatility is another reason why Klopp must move strictly for the youngster’s signature as soon as the winter window opens. The 22-year-old was a winger during his days at VfB Stuttgart but he is being converted into a centre-forward by Leipzig’s manager Ralph Hasenhuttl. Despite featuring consistently as a striker, Werner still remains a good winger who can deliver good crosses into the opponent’s 18-yard box. He will surely provide more options to Klopp in the attack and that will make the Reds look more dangerous and difficult to beat for any club in the world. Is this player really needed at Anfield? Bayern Munich legend Giovanni Elber has called on his former club to make a move for young Chelsea winger Callum Hudson-Odoi when the transfer window reopens in summer. The former Bayern Munich striker told popular media outlet Goal that the Bavarian giants must make the call to sign Callum Hudson-Odoi ahead of other major European clubs like Real Madrid and Barcelona. German champions Bayern Munich tried and failed to sign Hudson-Odoi during the winter transfer window despite making five separate bids for him. Chelsea rejected their bids in January with the Blues determined not to let the recently capped England international leave the club. Callum Hudson-Odoi also tried to force the move to Bayern Munich but his transfer request was rejected by Chelsea officials. The 18-year-old has been largely frustrated with the lack of playing time at Chelsea this season having forced his way into the Blues first team during preseason. Giovanni Elber told reporters that Bayern Munich have to do everything to sign the young Blues’ winger before adding that the Bavarian giants won’t know if Hudson-Odoi would be a hit or not if they don’t take a chance on him. Callum Hudson-Odoi has generally made positive impact each time he was given a chance this season. Former Bayern Munich midfielder Lothar Matthaus has revealed that his personal favourite for the Champions League title this season is Liverpool. In his interview with Goal, the Bayern Munich legend was very impressed with the way the Reds dispatched his former club during their last 16 tie as he tipped them for glory ahead of favourites like Manchester City, Juventus and Barcelona. Lothar Matthaus also discussed the dwindling fortunes of German teams on the continent. Only Eintracht Frankfurt qualified for the quarterfinals of the Europa League while no team made it to the last eight of the Champions League. German champions Bayern Munich had played a creditable goalless draw away to Liverpool in the first leg of their last 16 tie only for them to lose 3-1 at home to the Reds in their second leg meeting at the Allianz Arena. Borussia Dortmund lost the first leg of their Champions League last 16 tie 3-0 away from home to Premier League giants Tottenham Hotspur before losing 1-0 at home for a 4-0 aggregate win for Spurs. Schalke 04 suffered a great deal at the hands of Premier League champions Manchester City in their last 16 tie after they were on the receiving end of a 7-0 away defeat to the Citizens and a 10-2 aggregate loss. Bayern Munich legend Lothar Matthaus has leapt to the defence of his former club after they paid a club-record fee for Lucas Hernandez. The Bavarian giants had confirmed that Lucas Hernandez will be joining the club from Spanish La Liga giants Atletico Madrid in the summer. The transfer for the French international defender makes it the most expensive in the illustrious history of Bayern Munich. The German champions signed the Atletico Madrid utility defender for €80m which is almost twice the previous record held by compatriot Corentin Tolisso. Frenchman Tolisso signed for the Bavarian giants in a deal reported to be around €41m. Lothar Matthaus defended the expensive spending from Bayern Munich in his latest interview monitored by popular media portal Goal. According to him, the Bayern hierarchy realised that they had to spend to improve the squad after they were outclassed by Premier League giants Liverpool in their last 16 tie in the Champions League. Bayern had secured a valuable goalless draw away from home in the first leg of their last 16 encounter in the competition before they were beaten 3-1 in the return leg by the Merseysiders in front of their home fans. Senegalese international Sadio Mane was the thorn in Bayern’s flesh after he scored two goals to hand his side a quarterfinal berth via a 3-1 aggregate win. Chelsea winger Callum Hudson-Odoi has dismissed the notion that he’s impatient at the club. The young Blues player has been heavily linked with a move away from the club especially German Bundesliga champions Bayern Munich. In his recent interview monitored by popular news portal Goal, Callum Hudson-Odoi revealed that he’s willing to be patient on matters about his future. The 18-year-old submitted a transfer request in January after growing frustrated with the lack of first-team opportunities at Chelsea but senior club officials turned down his request to leave Stamford Bridge during the winter transfer window. German champions Bayern Munich made several bids for him during the January transfer window but Chelsea were able to hang on to him. He’s yet to start a Premier League game for Chelsea but the young winger has already been capped by England at international level. Hudson-Odoi made his England debut on Friday night when he came on as a second-half substitute for Raheem Sterling during the Euro 2020 qualifier against Czech Republic. England thrashed the Czech Republic 5-0 at the Wembley Stadium with Sterling getting a hattrick for the Three Lions. Callum Hudson-Odoi was involved in the fifth and final goal scored by Tomas Kalas (own goal). Apart from Bayern Munich, Callum Hudson-Odoi has been linked with a move to clubs like Borussia Dortmund and Manchester United. 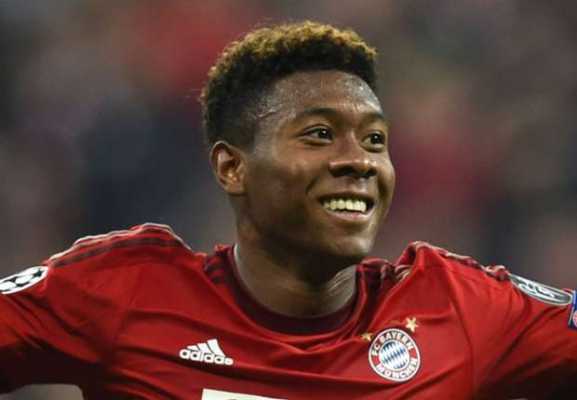 German Bundesliga outfit Bayern Munich star David Alaba has given the hint that he is willing to quit the club to join the North London outfit in the nearest future because of his love to play in the Premier League. David Alaba stated that he was an Arsenal fan as a young boy and he will be hoping to have his childhood dream come true with a move. The Austria international still has a contract running with the Bundesliga outfit until the summer of 2021 but he will no doubt consider a move should the North London outfit forward any offer to his Bundesliga owners. While admitting that he has fallen in love with the life at Munich, he is also considering the option of having a taste of something different for a new challenge and objective. According to him, Real Madrid and Barcelona are the only two sides he will demand to play for in the Spanish La Liga but his major target is to fly the Red and white colours at the Emirates Stadium. However, David Alaba will be a good addition at the Emirates Stadium because of his experience at the big stage and also his quality which is needed at the North London outfit. Bayern Munich midfielder James Rodriguez has reportedly made a decision on his future at the club. This is according to the report from trusted Spanish newspaper Marca which revealed that James Rodriguez does not see a future for himself at Bayern Munich. James Rodriguez is on a two-year loan deal at German champions Bayern Munich having joined the Bavarian giants from Real Madrid at the start of last season. It was revealed that James Rodriguez has decided not to stay at Bayern Munich despite the return of Zinedine Zidane to Real Madrid. French football legend Zidane was in charge of the Real Madrid team when James Rodriguez was told that he’s surplus to requirements at the club and that prompted the Liverpool target to sign for Bayern Munich on a temporary deal. Zidane has been reappointed as the Real Madrid manager just nine points after he resigned from the job. Bayern Munich paid £11m for the two-year loan deal for James Rodriguez until this summer with an option to sign him permanently for £36m. The Colombian international playmaker is said to be frustrated with the Bavarian giants’ failure to discuss a permanent transfer with him and he has already started weighing up his options. James Rodriguez was previously linked with a move to the Premier League with clubs like Arsenal and Liverpool. Bayern Munich manager Niko Kovac has revealed that the Bavarian giants can’t compete with the spending power of other major European clubs. The Croatian tactician was reacting to the Champions League elimination at the hands of Liverpool on Wednesday night during his pre-match press conference ahead of the league clash with Mainz 05. According to him, Bayern Munich are struggling to stay in competition with the financial might of other major European clubs. The German champions’ record transfer still remains the deal that took French midfielder Corentin Tolisso from Lyon to the club. Bayern Munich were said to have paid around €40m for the French World Cup winner. There was a marked difference between Bayern Munich and their conquerors Liverpool during the second leg of their Champions League last 16 tie. Niko Kovac and Bayern Munich adopted a defensive approach against the Reds in the first leg and that earned them a goalless draw. Bayern Munich then went on to lose the second leg 3-1 at the Allianz Arena on Wednesday night as Liverpool outclassed them on their own pitch. Senegalese international Sadio mane is the form player for Liverpool at the moment and he scored a brace to lead the Reds into the quarterfinals. Virgil Van Dijk got the other goal for Liverpool while the Bavarian giants’ lone goal came from a Joel Matip own goal. Merseyside giants Liverpool have qualified for the last eight of the Champions League after they saw off Bayern Munich in their last 16 tie. The Reds were slight underdogs going into their second leg clash at the Allianz Arena after a goalless draw from the first leg at their home ground (Anfield) but they were able to navigate the tie after producing one of their best performances this season. Liverpool defeated Bayern 3-1 in front of their fans thereby advancing to the last eight of the competition via a 3-1 aggregate win. 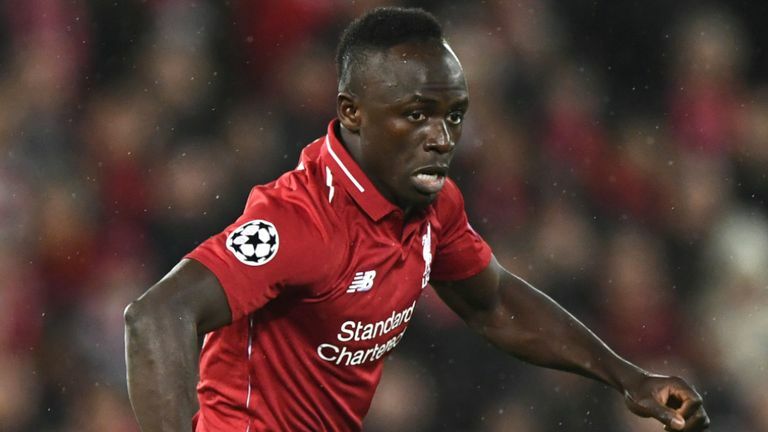 Senegalese international Sadio Mane was the star man for the Merseysiders after he scored two goals against Bayern Munich. Mane gave Liverpool a priceless away goal with the first of his two goals in the 26th minute only for the hosts to drag themselves level thirteen minutes later after Joel Matip put through his own net from a Serge Gnabry cross. Liverpool went on to score two second-half goals through Virgil Van Dijk and Sadio Mane to secure their passage into the quarterfinals. The Reds would be hoping that they can go one better than last year when they reached the final before they were beaten 3-1 by Spanish giants Real Madrid. Bayern Munich striker Robert Lewandowski was highly critical of his side’s approach to their Champions League tie with Liverpool. The Bavarian giants won’t add to their previous five titles in the competition after they were dumped out by the Reds. After the second leg meeting between both sides on Wednesday night, Lewandowski told BeIN Sports that Bayern paid dearly for their poor tactics against the Reds. The Polish international skipper questioned the tactics employed by Bayern Munich manager Niko Kovac in the first leg of their last 16 tie. According to him, they should have attacked more in the first leg played at Anfield last month. He further revealed that Bayern didn’t attack as much in the second leg. Bayern Munich produced a rearguard performance in the first leg to secure a goalless draw but their inability to score an away goal against the Reds played a big part in the outcome of the tie. The second leg didn’t go as planned for the Bavarian giants as it took Liverpool just 26 minutes to get an away goal. Bayern got back into the tie briefly via a Joel Matip own goal thirteen minutes later before the Reds went on to score two second-half goals to seal a 3-1 aggregate win.